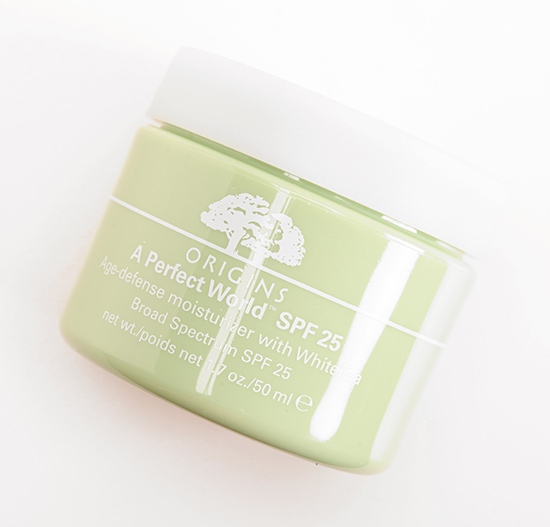 Origins A Perfect World SPF 25 Moisturizer ($41.00 for 1.7 oz.) is supposed to be an anti-aging, daytime moisturizer for combination and dry skin that’s oil-free with UVA/UVB protection. I bought this a couple of months ago after seeing several readers rave about it, and I’ve been trying to find a daytime moisturizer that I can settle on for awhile. The most important things to me were that it be hydrating, lightweight, quick-absorbing, and have sunscreen. The consistency was thicker, more like a medium-weight cream with a lot of air in it. It was not quite like a whipped cream (reminded me of a body souffle), but there was a lightness to it that isn’t there with other creams I’ve seen with a thicker consistency. It spread well across the skin, and it took about ten to fifteen minutes totally absorb. 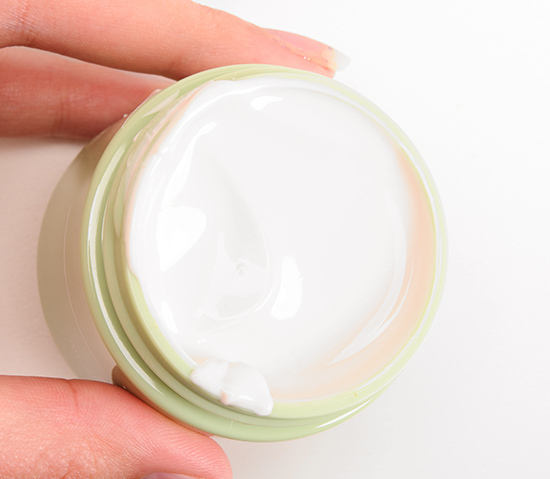 The moisturizer didn’t leave the skin feeling greasy or oily afterwards or later on during the day. I found it moderately moisturizing, so it was good on most days, but if I had drier spots or any areas that had some flaking, it didn’t keep up with it. I didn’t have any issues with this if any of it gets in my eyes–no burning or irritation. Makeup wore well on top of it, and it didn’t seem to shorten the wear of anything I put on it. It had a light citrus and white tea scent (a little herbal but not strongly so). I didn’t notice any anti-aging-related changes in my skin as far as I could tell, and for me, my signs of aging include primarily fine lines around my eyes and some smile lines around the corners of my mouth. I really liked this and would be more than happy to continue using this, but I’m not quite ready to settle down and commit. My impression of it was it’s a nice, hydrating cream that works well for daytime use, underneath makeup; it’s not an aggressive anti-aging product, so it’s not reversing the hands of time at all, but it’s helping to prevent some of it! I really wanted to love this moisturizer, but in the end I just thought it was okay. I prefer LUSH Skin Drink and adding a separate SPF over the top. I loathe adding separate sunscreen, so I don’t think this would be a good option for me. What separate sunscreen do you use over Skin Drink? 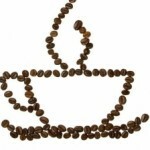 Thanks for mentioning my post Christine! While I’m not a dermatologist (I’m a Pediatric ICU doc), I am obviously very “into” skin care science and read about it quite a bit. It really depends a lot on how your day is going. If you’re just walking to and from the car with very little sun exposure, most derms would say you’re fine with applying once in the am and leaving it be. If you have a sun exposure heavy day (outside gardening, at the beach, etc) then you really do need to reapply every 2 hours and after water exposure. There isn’t anything on the market currently that anyone feels lasts long enough to not require reapplication. The link that Christine has above is how I reapply my sunscreen over makeup if I’m out and about. Thanks for confirming, Christine! 🙂 I rely on experts like yourself (while I know you’re not a derm, you have the training to understand medical and scientific literature as well as I know you have an interest in it!) to help lay-people like myself out. You’re one of my go-tos for skincare info! It really depends on your day and where you work. I always recommend on wearing sunscreen everyday no matter where you are and how the weather is. The sun rays are worse when it’s cloudy out contrary to belief. You should really be reapplying sunscreen every 2-4 hrs. But I agree with you that if you work in an office indoors all day, applying it in the morning should be fine. However, if you work at a desk next to a window all day, that’s the equivalent to swimming all day. Hi Christine, I am currently looking for an anti aging cream as I am trying to integrate anti aging products into my skincare routine, any recommendations? I heard A Perfect World was amazing and now I’m a little disappointed it doesn’t do much for the anti aging part. Thanks in advance if you reply! Well, I’ve never really felt like anything was doing major reversal, but keep in mind I don’t have a lot of signs of aging yet (I am 26) so it is also a lot harder to judge efficacy (IMO). I also use two topical prescriptions for my face – Differin (retinoid; it can be an alternative to Retin-A for some–I originally got on it for acne, but now it’s prescribed for me for acne and anti-aging) and a topical antibiotic, and the Differin is probably doing more for anti-aging than an over-the-counter product. I’ve been using Differin for three or so years (possibly longer). The best products I’ve found are ones that provide plumping within the hour – a kind of temporary boost that smooths and plumps lines, but the effect only lasts as long as you keep using the product. I’m pretty cynical re: anti-aging, though, and I always feel like I’m hunting for improvement and worry I’m trying to convince myself that there’s some when there’s little to none (which is why I don’t review a lot of skincare!). citrus water, oils and especially mentha and camphor are extremely irritant. I’ve been using this for almost 5 years as a daytime and night time moisturizer. Mine doesn’t say that it has spf so I use it at night. I have oily combination skin and this is the only moisturizer that hasn’t broken me out. I love the light scent too. My only complain is that it takes a while to absorb. 10-15 minutes just like what Christine said. Love this product! I believe this is also the full-size Origins GWP Sephora had last year in different packaging? I grabbed two of them and it’s super awesome. I’m also not sure how effective it is since I’m only 23 and most of my signs of aging are fine lines around the eyes and starting to form lines on my forehead (a good reminder for me not to make certain expressions!) but mostly I’m worried about deep acne scars from cysts. Aren’t 20’s wonderful? First signs of aging and acne at the same time! But your skin is absolutely lovely so I’m sure you’ve never had nearly as severe problems, Christine 😉 Glad to know that the product is working out for you too. I looked at this moisturizer, but ended up just using my MAC Strobe Cream with the Clarins UV Plus HP Spf 40 (which I LOVE). I just hope it will be enough moisture for the Winter!! This is the one that Sephora was giving out for the Earth Day promo a couple years ago, right? I really liked it, but when I ran out, I found out that it comes in a jar and not a tube like the one I got back then. Not a fan of this type of packaging; especially in the morning when I am not into making any kind of effort at all haha. I use the one that doesn’t have SPF in it and use it as a nighttime moisturizer. I like it, no complaints. Have you tried Josie Maran Argan Moisturizer with SPF? I wear this all winter long, as my skin leans combo-oily in summer, and then combo-dry in Winter. I got some for my mom, and she loves it! She has Rosacea, and a lot of dry, flaky skin. It is non-irritating, and it has a mineral sunscreen. I just adore it! Makeup is a dream over it. I use it more than Embryollise on most of my clients because Em has a scent and can irritate the most sensitive of skins. Get yourself a sample from Sephora and see! Awesome stuff! Thanks for the suggestion, Michelle! i think i’d be willing to try this once my clinique runs out. I’ve used this stuff for a few years. I recently stopped as I switched over to an oil cleanser and with that comes no need for moisturizers. I keep it on hand though just incase I have a “dry” day. I love it personally. I never needed to re-apply unless I had a severe dry patch on my face which would happen from the tinted moisturizer I wear on occasion. What oil cleanser are you using? Not the same thing exactly, but when I was pregnant with my second daughter I experienced fairly common skin itching of my legs, not associated with a rash. Just REALLY itchy. Anyway, I was desperate to find something and I wandered into Origins at the Mall and they recommended this. I bought it honestly for the smell and the texture but it really DID help my legs fell less itchy..placebo affect? I don’t know but it worked for me and I love the stuff!!! Placebo effect or not… if it worked and helped, that’s what matters! This moisturizer doesn’t work for me. I have gotten samples at two different times but both felt greasy. I don’t have oily skin. The sample eventually separated into two layers, with a layer of oil on top. I have never owned any moisturizer that does that. Glad you were able to try out samples first, J! Ouchhh! That is a tough price point. Do you have any issues with flash back? I have been using it on and off for the past few months and I kind of like it (I got a big size sample with Sephora points). The main reason that’s preventing me from buying the full size is the jar packaging that causes the ingredients to loose their beneficial properties really fast (every time you open the lid and let air get in contact with the cream). So I am too in search of a good moisturizer… I’m thinking of trying the Daily Energizer Lotion SPF15 from Clarins. Have you ever used it? 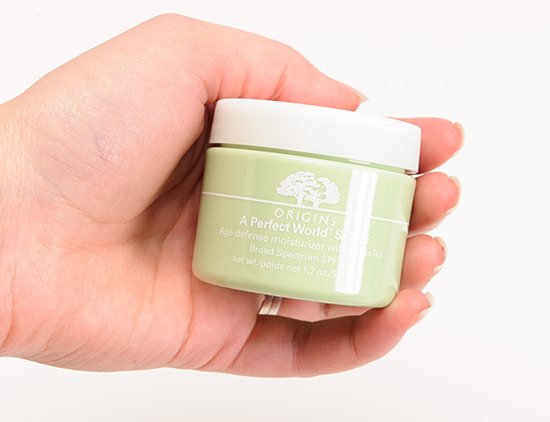 I would absolutely LOVE to try this product, it seems like it would be an ideal day moisturiser for me – it’s oil free, has an SPF, AND I love the A Perfect World range – I find it really does improve the clarity of my skin. I’m using Origins Ginzing moisturiser at the moment but it doesn’t quite tick all the boxes – sometimes it doesn’t feel hydrating enough for me, and I really like my moisturiser to have an SPF – I don’t rely on it, and wear a dedicated sunscreen over the top most of the time, but sometimes I want to not HAVE to apply the extra layer.